October 17th was National Bosses Day! The team at the Western Iowa Synod Mission Center said "thank you" to the Bishop and presented him with a fun little gift. A Mr. Potato Head with a crown, cross and rubber duck. Some of you may understand the meaning, especially if you have traveled to Tanzania. It is there that the Bishop is referred to as the big potato. The assistants to the Bishop received a bag of chips (the little potatoes)! Just having a little fun!! Please share this information with your congregational members and invite them to register and come to the events!! James Rut and his family as they mourn the death of his cousin, John Dat. The ELCA Task Force on Women and Justice: One in Christ invites you to join a growing conversation and to add your input. 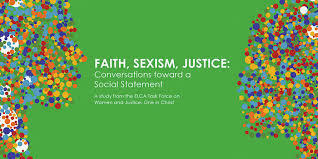 After receiving feedback from more than 100 Listening Events and hearing from several dozen specialists, the task force has written the study “Faith, Sexism, Justice: Conversations Toward a Social Statement” as way to invite broad engagement with the questions and issues. This modular study includes a range of topics that can be used in different combinations to meet the learning needs and interests of different groups or individuals. The response period runs until Aug. 31, 2017. Below you will find links to the complete study or to each individual piece as well as the response forms. 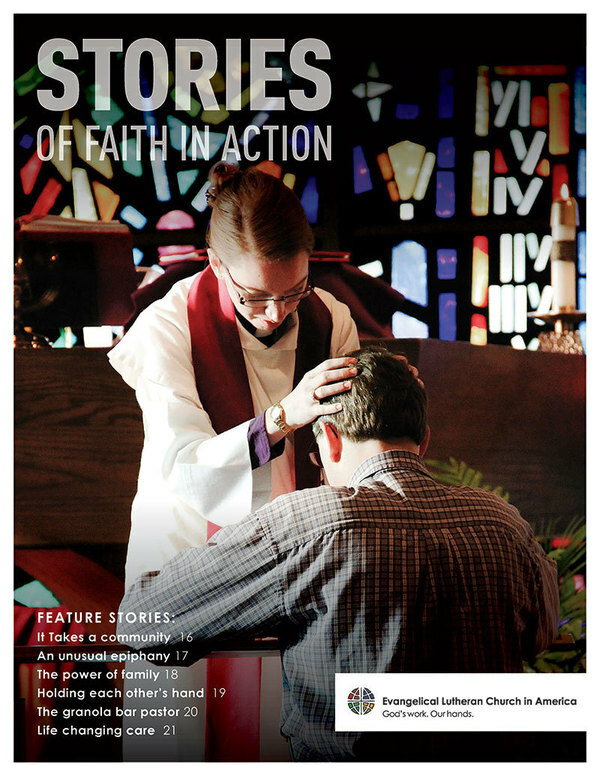 Printed copies can be ordered at http://resources.elca.org or call 800-638-3522. Cost is $4.00 per copy plus shipping. Concentrate on your meal while you're eating it. 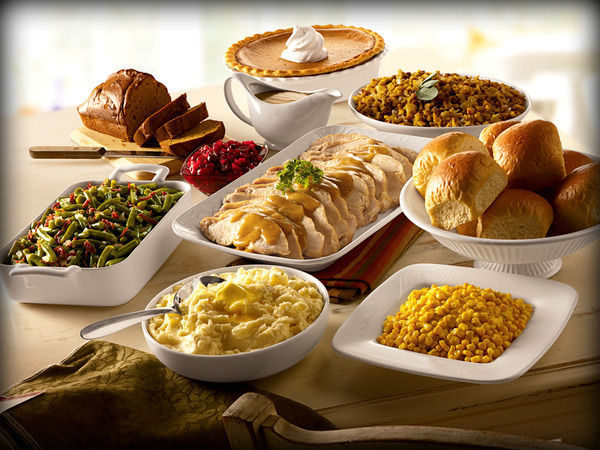 Focus on chewing your food well and enjoying the smell, taste, and texture of each item. Research shows that mealtime multitasking (whether at home or at a party) can make you pop mindless calories into your mouth. Of course, dinner-party conversation is only natural, but try to set your food down until you're finished chatting so you are more aware of what you're taking in. More great tips here! Mark your calendars for Aug. 7-10, 2017, when the ELCA will host its first ever Rostered Ministers Gathering in Atlanta. This will be an opportunity for our Rostered Ministers to assemble for worship, education, and fellowship. We will gather under the theme, “On the Way ... Together,” using the Emmaus Road story (Luke 24:13-35) to guide our time together. More info here... or keep up to date via Facebook! The Next ELCA Youth Gathering is only 18 Months Away!!! Every three years, 30,000 high school youth and their adult leaders from across the Evangelical Lutheran Church in America gather for a week of faith formation known as the Gathering. Through days spent in interactive learning, worship, Bible study, service and fellowship, young people grow in faith and are challenged and inspired to live their faith in their daily lives. More info here... Looking for another congregation to join with or to find out ways your congregation can be involved? If so, contact Lynn or Tracy Gayer!! Registration opens in just 12 months!!! 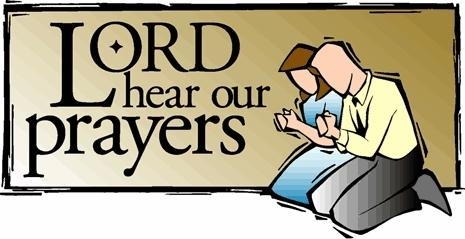 will be offered again this year from our own people in the Western Iowa Synod!!! Advent begins a month from today!!! When Jesus said, "Follow me," He didn't give a detailed map of what our journey would look like. He simply promised to provide what we need to do what He called us to do. We are challenged to fix our eyes on Jesus, but we encounter so many distractions in life. It's hard to have a single minded focus in life and not wander off the path of discipleship. Sometimes it's unclear exactly what God wants us to do and where He wants us to go. However, when we put our trust in Him, He will guide us in ONE DIRECTION- towards Him! More info and registration here! !